Experiment with live music technology. 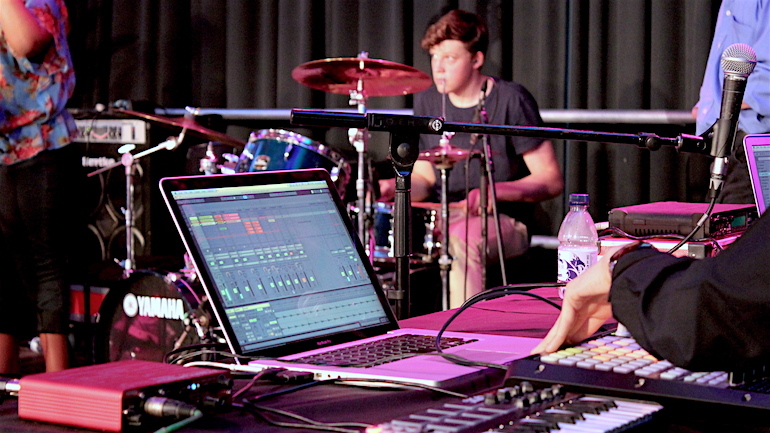 Work with a session band to recreate live versions of your studio tracks. Help to host a monthly open mic event. Weekly sessions are run by bassist & rapper, Ned (Normanton Street) and drummer Rob (St Longplayer/Holy Vessells) With regular visiting industry artists. There are no sessions running right now. To stay in touch, make sure you’re following our socials, or sign up to our mailing list!